St. Philip’s offers a variety of educational opportunities to our community: Sunday School & Teens, adult studies & guest speakers, Catechumen & Inquirer series (also serves as a refresher course! ), and summer Vacation Church School, as well as St. Stephen’s Course (through the Archdiocese) for more formal study. See Fr. Noah to serve or participate in these ministries. Click here for more information. 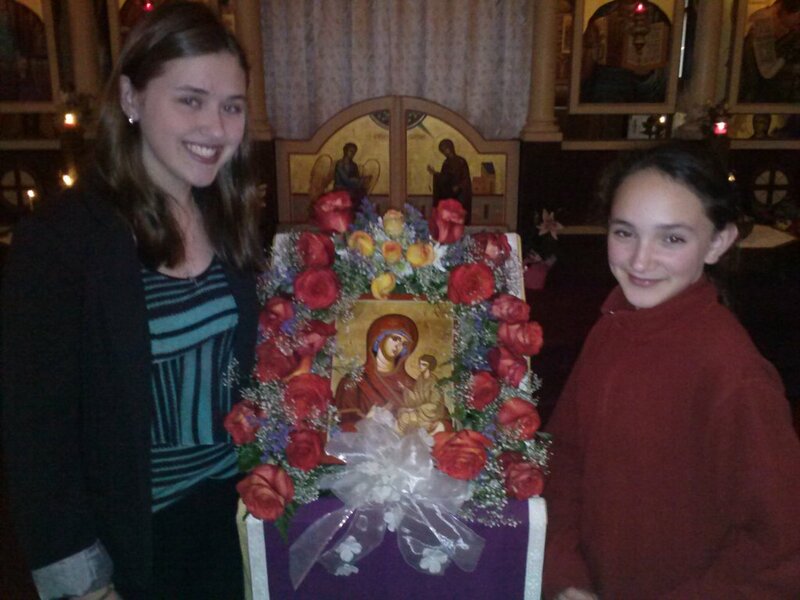 Teen SOYO, for students in grades 9-12, meets following the Liturgy every Sunday. In addition to their Christian studies at that time, service and outreach activities enable them to increase their love for God and neighbor, and social activities give them the opportunity to develop relationships to last a lifetime. See Subdn. Ben & Holly Daniel for more information. Summer, Winter, and Family Camp opportunities are available at the Antiochian Village in western Pennsylvania. Click here to visit the camp website or see Vera Acker for more information. Altar Server and Handmaidens ministries are available for boys and girls, respectively. See below for more information. The Offering is collected by the Handmaidens and young boys (in kindergarten and up) who do not serve in the altar. Please let us know of your child's interest in being included in future lists. Click here for the Offering Collection Schedule. Music is an integral part of our worship experience. Whether through full choir arrangements or simple chanting, the ministry of St. Philip’s Choir instructs and uplifts. Rehearsals are scheduled through the school year; new singers are always welcome. The Youth Choir (grades 2-8) meets in fall and spring to prepare for singing a service on their own, and singers are welcome to join the adult choir after communion throughout the year. Click here for more information on the music of the Church & our choirs, and speak to Kh. Elizabeth to join the choir. Readers of the Epistle have the privilege of helping to proclaim the word of God in worship in such a way as to allow all of us to grow closer to our Lord, God, and Saviour Jesus Christ. Readers also have the responsibility of proclaiming God's word with clarity, dignity, care and attentiveness. Readers serve Christ and edify our brothers and sisters in Christ, setting a proper example, enabling us all to grow together in the blessings of the grace of God and in the worship of Him. Here are a couple of Epistle readings to use as an example of a chanting style. Whether chanting is simple or fancy, the most important thing is that the text is heard and understood by the congregation. Altar Boys (Acolyte) are Apprentices, serving God and His Church by serving the priest. An apprentice learns by assisting a master. Being an Altar Boy is NOT a ‘rite of passage’ or just something to do during the services of the Church. Instead, it IS an opportunity to learn how to serve around the Holy Altar of God under the guidance of the Priest(s), Deacon and Subdeacon(s) with an open heart and mind to the possibility of one day being tonsured/ ordained as a Reader, Subdeacon, Deacon or Priest. Serving God as an Altar Boy is a ministry that we take very seriously, and which brings us great joy! All boys age 8 and up are invited to serve. See Subdeacon David Hyatt for more information. The Handmaidens is a sisterhood of young women (ages 6-18), modeled after the ministry of the Theotokos, the Myrrhbearers, and the other women saints, intended to allow girls to grow together in service, prayer, and purity. They participate in special aspects of some services and meet for other activities. If your daughter would like to participate, please talk to Leeanna Gula or Mary Lynne Black. Click here to hear hymns recorded by our Handmaidens. A Message from our Handmaidens. St Philip's group for adults 20-40 years of age. 1 Timothy 4:12: Let no man despise your youth; but be an example of the believers, in word, in conduct, in love, in spirit, in faith, in purity. See Nick Burke or Katie Bitner for more information, and visit the 20/40 Fellowship FaceBook page. For upcoming events, the latest news, and photos, click here. The Women of St. Philip’s, a chapter of the Antiochian Orthodox Christian Women of North America (AOCWNA), support our church community in many ways, including providing hospitality for special events, sending cheerful greetings to shut-ins, and raising funds for special projects. For more information click here. The Matushka Olga Sewing Club at St Philip’s meets on Tuesdays at 11 a.m., offering an opportunity to learn or teach, work on your own project or on projects for those in need. All are welcome. Contact Angie Drăghici for more information. Parish Council - The Parish Council consists of twelve faithful pledging members of St. Philip’s. Each year at the Annual Parish Meeting, three Council members are elected and one is appointed by the priest. The Council meets monthly to review and oversee the many aspects of the operation of our church: ministry, education, hospitality, finances, maintenance, policies & procedures, decorum, growth, and more. Each month’s meeting minutes are distributed in the bulletin and posted on the bulletin board; the names of members are listed therein. You may speak to a member of the Council to voice your comments and concerns. St Philip's Monthly Outreach Collection focuses on essentials that cannot be purchased with food stamps. Non-perishable food items are collected throughout the year. Every Thanksgiving and Christmas, turkeys are collected to be given to local families through local charitable agencies. 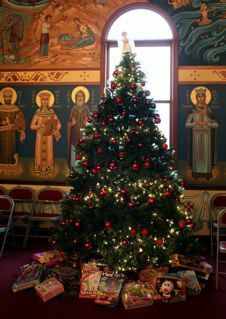 In addition, our St Nicholas Tree and Christmas Adopt-A-Family also bring the opportunity for gift-giving to needy families. Another, more frequent, outreach opportunity is the Adopt-A-Highway program. Four times a year, members of St. Philip’s pick up trash along Tollgate Road in Quakertown. To participate in Adopt-A-Highway, contact Jerry Burke; to assist with Holiday or Monthly outreach, speak to Louise Shaheen. Please contact the church office about any other Outreach ideas or needs! More information on our Outreach activities can be seen here. The Missions and Evangelism Team promotes and provides information on missions activity in the Orthodox Church and develops and coordinates the evangelistic efforts of St. Philip’s. For more information, see Reader Nicholas Muzekari. The St. Philip’s Library provides books, magazines, and audio, video, & computer materials for the education of our parishioners. From the Bible to contemporary issues, from saints & fathers to food & travel. Music, iconography, culture, history, spirituality & children’s selections. There’s something for everyone! (Please remember that children under 5 must be closely supervised by an adult when in the library.) See Chris Stavrou for more information or to help with maintaining the library. The St. Philip’s BookShelf Ministry is our bookstore. We call it a ministry because we sell our items at virtually our cost. Many types of books are available. If you don’t see a title you’d like, see Todd Moore or Fr. Noah; we may be able to order it for you. St. Philip’s Cemetery was established in 2001, and is available to Orthodox Christians of any parish and their Christian spouses and children. Click here for details. See Susan Psomiadis or Fr. Noah for more information, or contact the church office at 215-721-4947. 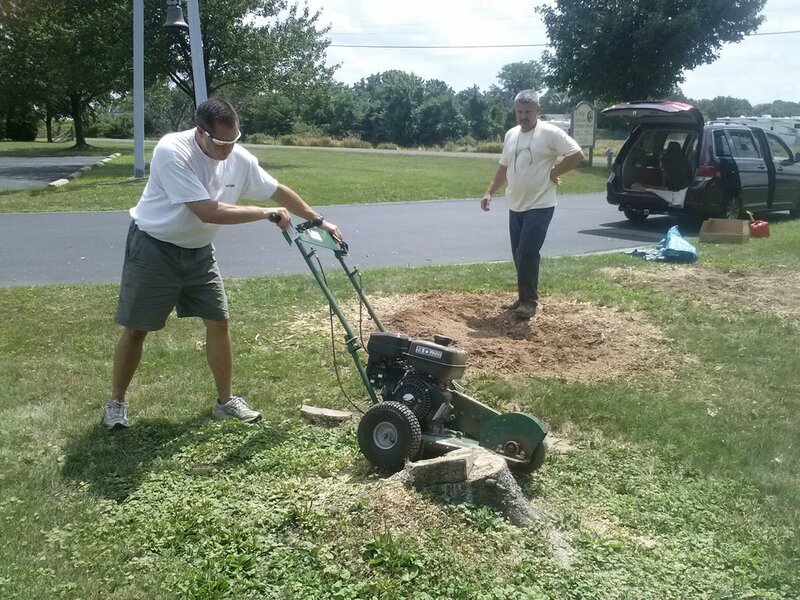 St Philip's Maintenance Team takes care of the building and grounds of the church, either by doing the work themselves, or working with local contractors. See Dan Marquardt or Jonathan Black if you would like to be a part of this team. St. Andrei Rublev Iconography Work Group - The iconography work group meets weekly at the church to support each other in writing icons. 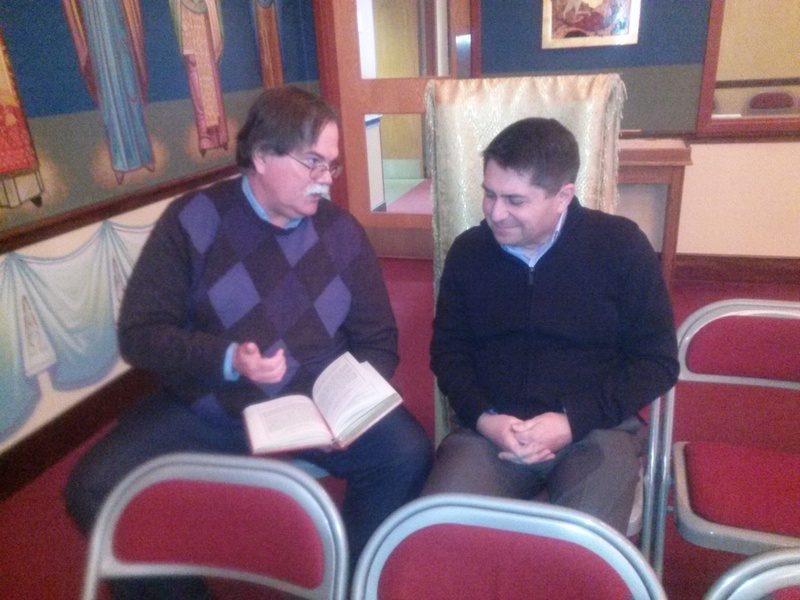 They also learn more about iconography, as ministry and spiritual discipline, and will eventually provide educational materials and opportunities to the parish. 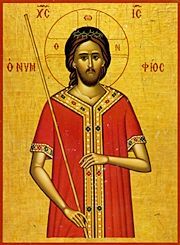 They follow the “Prosopone School of Iconography” as learned from Master Iconographer Vladislav Andrejev. Participants bring icons in progress to work on. Please see Linda Henry for more information. St. Nina Prayer Network - The St. Nina Prayer Network was established to provide an organized way to share particular prayer requests. Prayer requests for all our beloved in critical need can be given to Fr. Noah or Fr. Boniface, who will pass them along to the group. For more details, or to join the St. Nina Prayer Network, speak to Celia Marie Khouri. 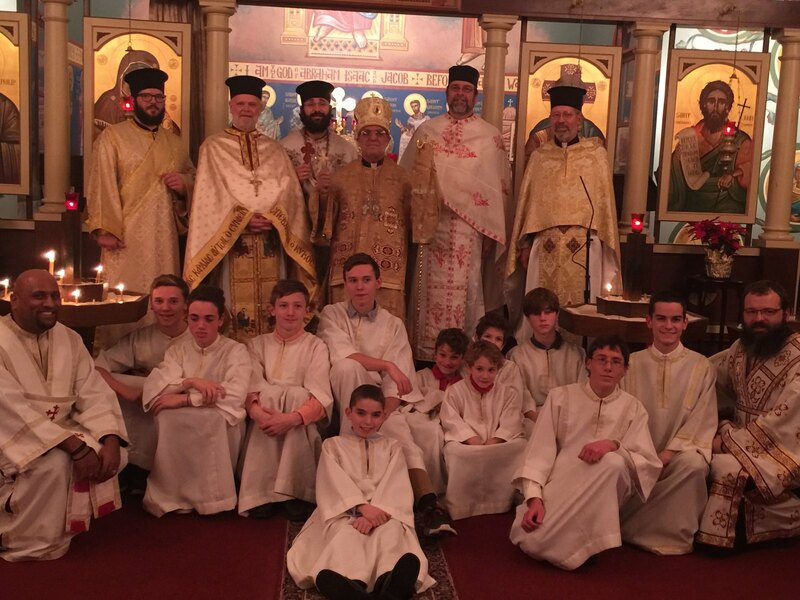 Icon of Iveron Prayer Group - Since 2002, participants in this prayer group have been taking turns praying the Akathist before the Iveron Icon of the Mother of God, so that every day our prayers are offered, especially for newlyweds. If you are interested in joining us, see Angie Drăghici, Niko Chocheli, or Mary Kompass for more information. St. Philip’s has “adopted” a stretch of Tollgate Road in Quakertown, cleaning up the trash along the road four times a year. Volunteers are always welcome; see Bill Henry for more information. Order of St Ignatius of Antioch - The Order of St Ignatius is comprised of more than 4,000 men and women throughout the Antiochian Archdiocese, committed to serving Christ through an extra annual gift. By their generosity, they help increase the benevolent and charitable work of the Archdiocese, reach out in Christ’s Name, invest in Orthodoxy for the 21st Century, let the Light of Orthodoxy shine for future generations, and make a difference in the lives of many. See Jonathan Black, Larry Shaheen, or Anne Marie Collins for information. Are you signed up for St Philip's email list-serve? This is our primary means of spreading time-sensitive news such as schedule changes, announcements, and prayer requests. If you'd rather not receive these emails, be sure to arrange to get time-sensitive news from a friend who is receiving list-serve emails. If you have a Google/Gmail account, visit https://groups.google.com/forum/#!forum/stphilipsouderton and click Subscribe to this group. Otherwise, contact the church office to be subscribed. Your request will be routed to the church office and when you are subscribed you will receive an email confirmation and instructions from the server. You must subscribe separately for each email where you want to receive messages, and if you change your email address, you must log in to make the change or subscribe again with the new address. To have list-serve emails sent to your cell phone, call the church office. YOU MUST SUBSCRIBE to take advantage of this service! And More! - St. Philip's offers our parishioners many more opportunities to minister to our church family, our community, and the world. A fuller list is available in the church narthex.